Ever since The Da Vinci Code rocketed to the top of bestseller lists in its first week of release in 2003, Dan Brown has produced a never ending stream of hits — and I'm sure his new Da Vinci Code novel will prove no exception. So far, there are four books in the Robert Langdon series: Angels and Demons, which only became popular after the success of The Da Vinci Code; The Lost Symbol; and Inferno. Next September, a fifth book will be joining that list: Origin. So far, details about the plot are pretty scarce. The publisher, Doubleday, merely said that Dan Brown's Origin will see symbologist Robert Langdon thrust "into the dangerous intersection of humankind’s two most enduring questions, and the earth-shaking discovery that will answer them." Well, these novels have always been mysterious. 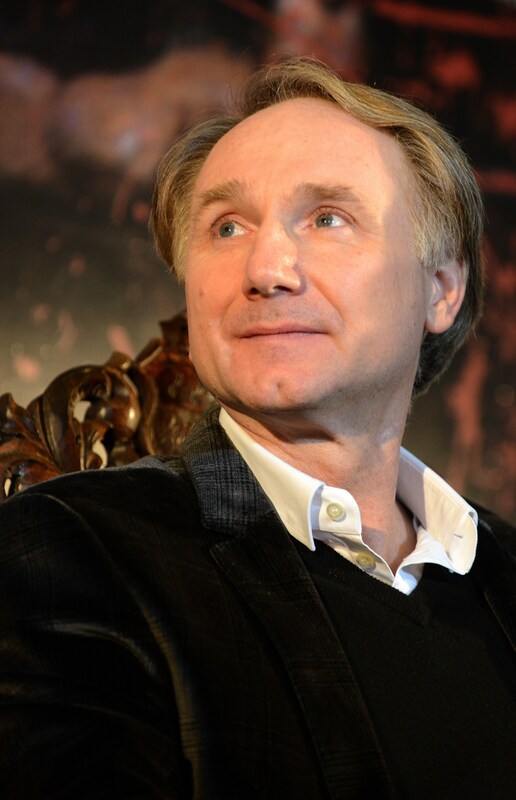 Dan Brown is the author that everybody loves to hate (though that doesn't stop them from buying his books, obviously). This September, he released a special Young Adult adaptation of The Da Vinci Code which rather offended the young readers who had had no trouble reading the original — but despite this outrage, his novels continue to sell fantastically well, and to be adapted into hit films. The third Robert Langdon movie adaptation, Inferno , is due out this October, and director Ron Howard has hinted that he has plans for The Lost Symbol as well. So even though it's been 13 years since the Da Vinci Code madness started, the hype surrounding Dan Brown's books doesn't seem to be dying down any time soon. I wonder how long it will be before we see Dan Brown's new novel Origin on the big screen too!